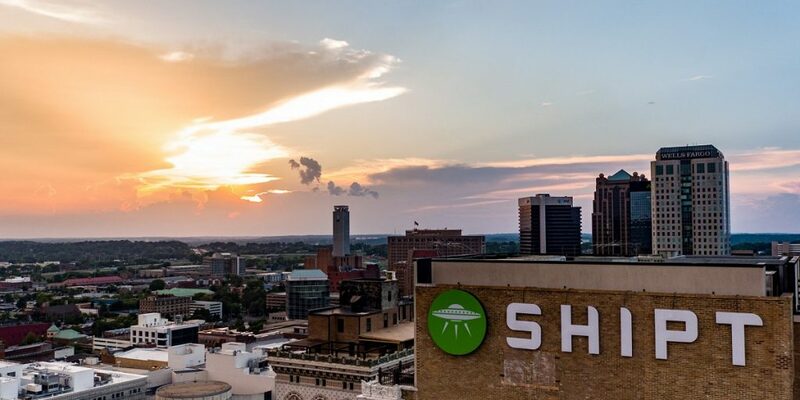 Shipt, a Birmingham-based grocery delivery startup, announced Thursday a plan to expand its headquarters and create more than 800 jobs over the next few years. The expansion project will add approximately 881 full-time jobs with average annual pay of approximately $48,300. The company has invested $10 million into the project. Company Founder and CEO Bill Smith made clear his commitment to Birmingham. “Shipt was founded and has flourished in Birmingham, and we would not have reached the success we have today without the continued support of this community,” Smith said. “As a rapidly growing technology company, we feel fortunate to be able to offer an avenue for creating highly skilled jobs within Birmingham. “With this development package, we’ll be able to deepen our roots in our hometown, helping establish Birmingham as a center of technology and innovation not only in the South, but also within the United States. Smith also talked about how Shipt was founded. Smith said the company is actively recruiting across all departments and focusing its continuous growth on the Magic City. He said the company plans to primarily recruit talent from within the city and the surrounding area. Shipt serves as a membership-based online grocery marketplace that delivers fresh foods and other items through a community of shoppers and a convenient app. Since its founding, Shipt has grown rapidly with its service available to nearly 50 million households in more than 150 cities across the country. “Shipt represents the innovation, ingenuity and entrepreneurial spirit that is defining a new generation of builders in Birmingham, and we are proud that Shipt calls our city home,” Mayor Randall Woodfin said. Jefferson County Commissioner David Carrington said Shipt’s growth reflects the emergence of a budding information technology ecosystem in the Birmingham metro area. The commission has pledged a cash incentive tied to Shipt’s hiring. Target announced in December that it was purchasing Shipt, for $550 million although Shipt continues to operate as an independent company with its own leadership team. On Thursday, Gov. Kay Ivey joined executives of Shipt and local officials to announce the growth. “This expansion will not only raise the standard of economic development in Alabama, but it will open the door to the world of the rapid changes in technology going forward, giving us the elevation that is necessary to continue to be competitive in a 21st century firm,” said Ivey during the announcement at Shipt headquarters downtown. The support package was the result of a collaboration between the State of Alabama, City of Birmingham, Jefferson County, Alabama Power, the Birmingham Business Alliance, and Innovate Birmingham. Made In Alabama contributed to this post.